Why is Beaumont Right for You? Scott Sidman- SVP, Building Engines Commercial Real Estate Technology Evangelist hosts podcast of Phil Cavallo, CEO Beaumont Solar on The Value of Solar, its not just about cheaper greener electrons. 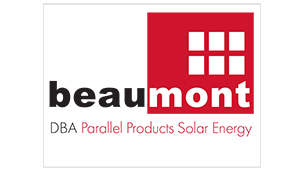 Listen to the interview which covers Beaumont Solar formation and the rise of the company from a small regional sign company at the beginning of a revolution of the solar industry in a key market in Massachusetts. The company formed a skunk works or an incubator inside of an existing operating company to emerge as one of the dominant players in the regional markets of Massachusetts and Rhode Island. The talk covers, solar for commercial buildings, design requirements, roof load capacity, safety concerns, age of roof, ROI and use of capital. The efficient use of solar at the source of the load is the most economical way to produce power for a property. The financial models are explored, tax incentives, both state and Federal incentives. “It almost sounds to good to be true” – Scott Sidman. Serving the commercial solar energy needs of Massachusetts, Rhode Island and Connecticut.